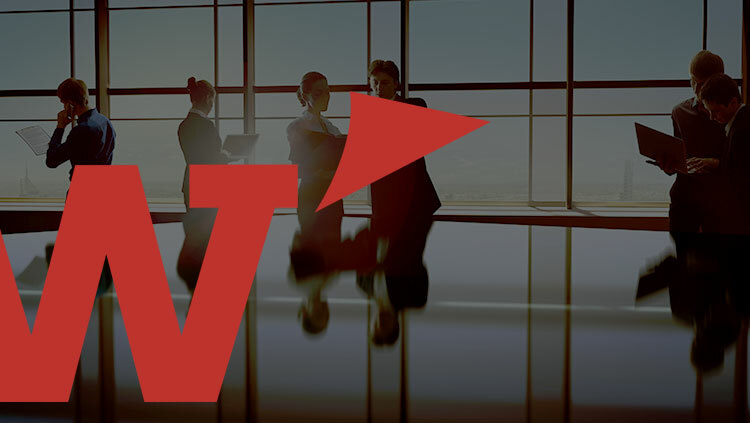 At the Weatherly Group, we know how to capitalize on today's talent to drive lasting success. 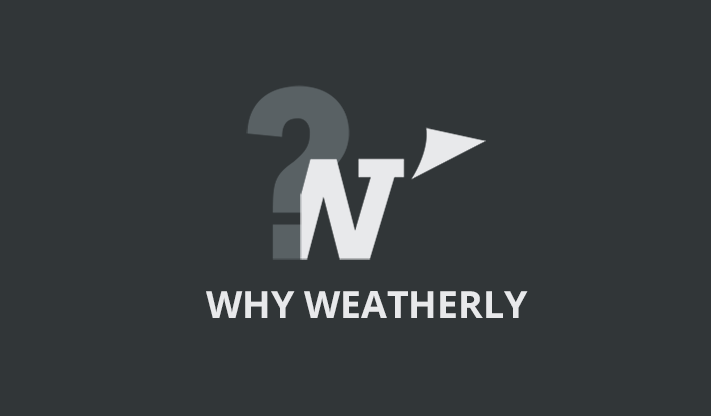 The Weatherly Group was founded on the principle of partnership. We partner with leading institutions across the financial sector, from high-profile investment banks and hedge funds to some of Fortune 500's most successful corporate development teams, in order to uncover and secure the right talent that will lead tomorrow's generation of success. We have successfully placed best in-breed professionals, from Analyst through Managing Director, across product and coverage groups. 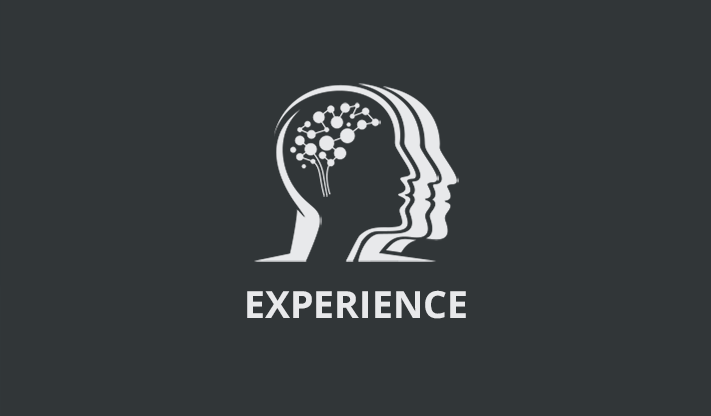 Our long-term clients include Wall Street’s leading global investment banks, top boutique firms, and merchant banks around the globe. 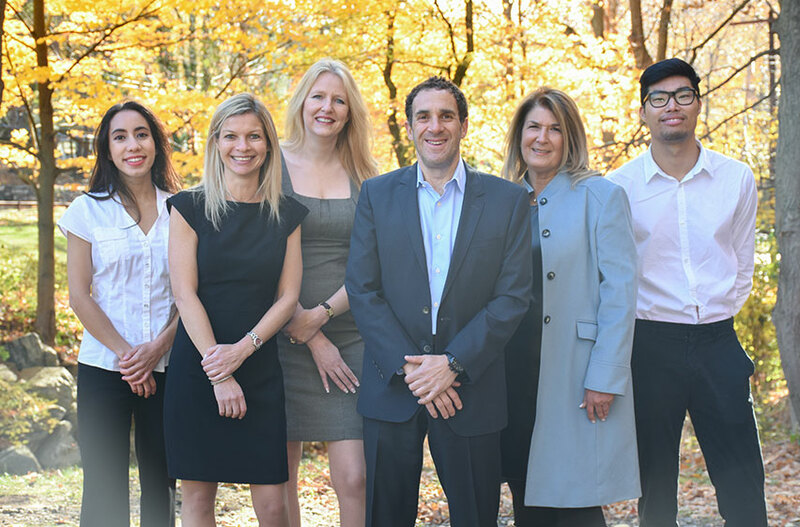 From the most junior Research Analyst positions to Senior Portfolio Managers, we understand the skill set required to function as a team and drive alpha. 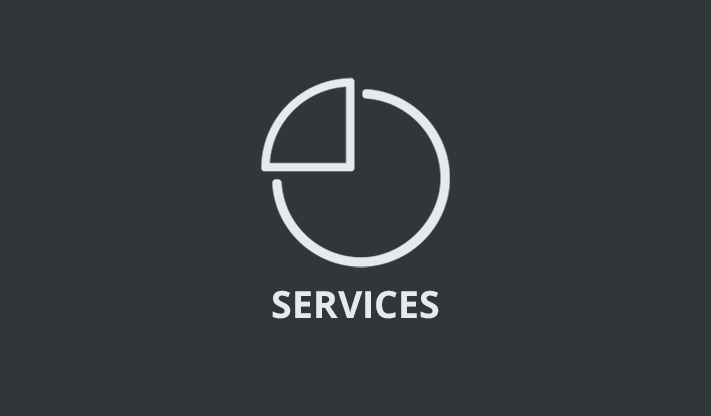 Our clients include Hedge Funds, Private Equity firms, Asset Management firms and Venture Capital firms. 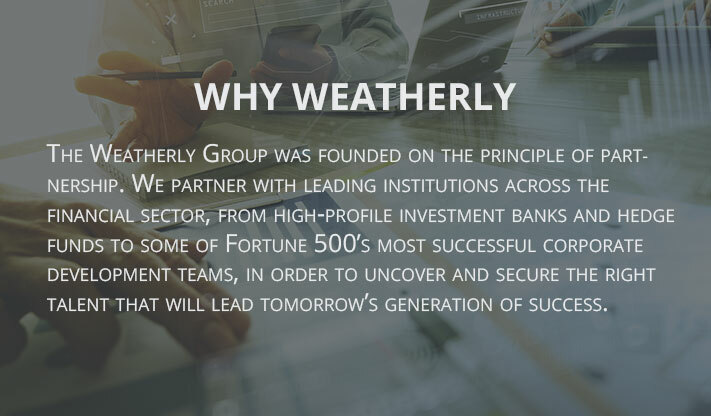 The Weatherly Group has developed a deep network of professionals in investment banking and alternative investments that has proven a key asset to building successful corporate finance and strategy teams in the corporate world. including some of Fortune 500’s most successful institutions. We work closely with management teams across sectors, from leading investment banks and alternative investment firms to Fortune 500 companies. Whether you are looking for a new Chief Financial Officer or Chief Operating Officer, we help you find your firm’s next generation of success. 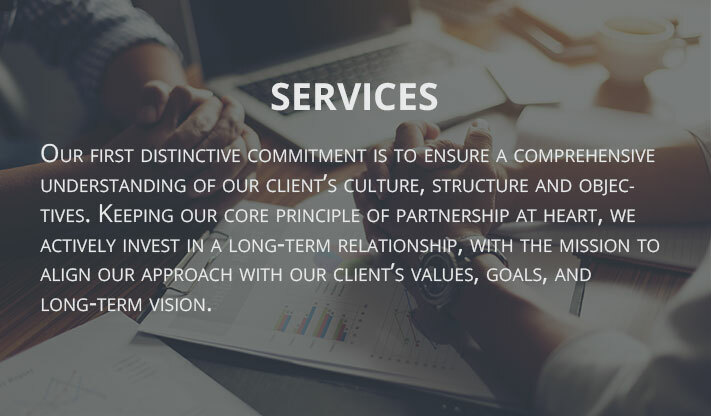 Our philosophy is to offer financial consulting services that will combine applied industry knowledge with managing projects in operations, middle office, accounting, technology implementation, risk and regulatory reporting and compliance.